Ali B strikes the perfect balance between luxury and convenience. 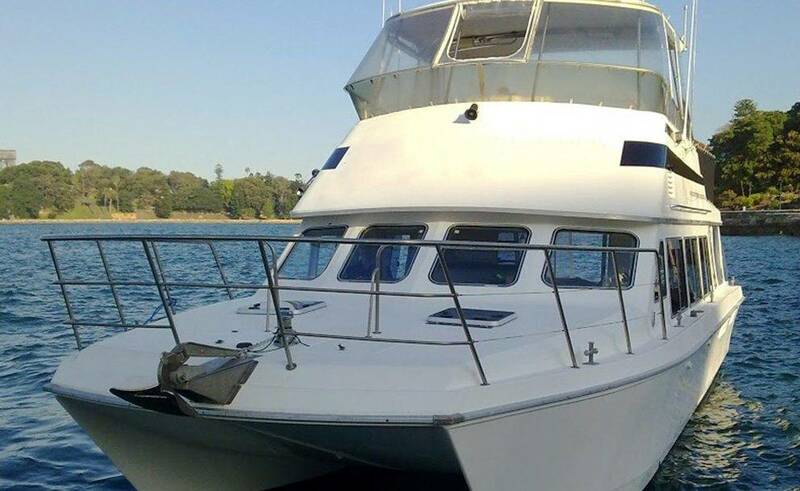 She delivers everything you could ask for in a party vessel without compromising on any of the practical details vital for an enjoyable and relaxing trip. Affording unrestricted views of the city, her sleek upper deck with its neutral palette. With hardwood, timber fittings lend itself equally to a sophisticated formal function or a casual family affair. There is covered seating on the upper deck. So a shower or two will not put a dampener on your party. You can also seek shade from the midday sun while continuing to enjoy the views. Newly re-furbished with superior specification throughout. 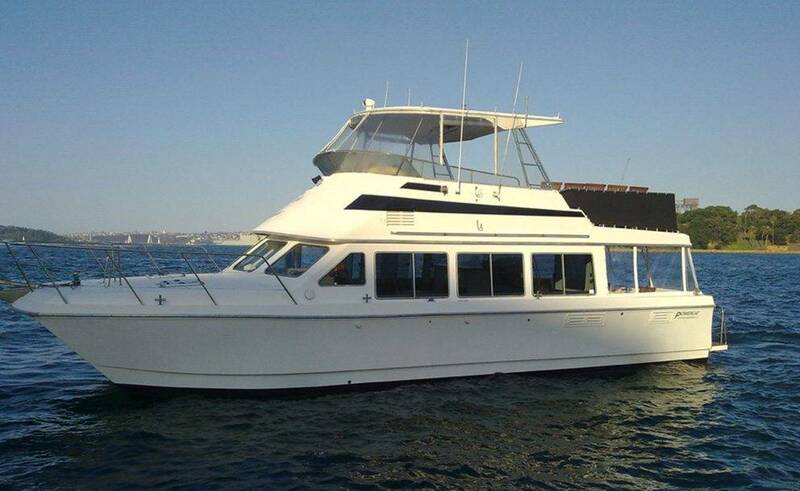 This 400 power catamaran has a light and spacious interior which comfortably holds up to 40 guests. Ideal for a cocktail party and up to 35 for a buffet or a dinner. 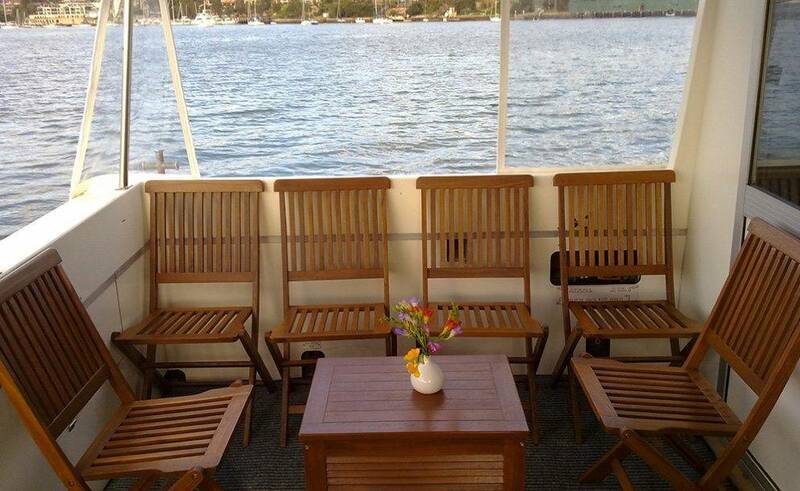 Plenty of comfortable seating is available on all levels. 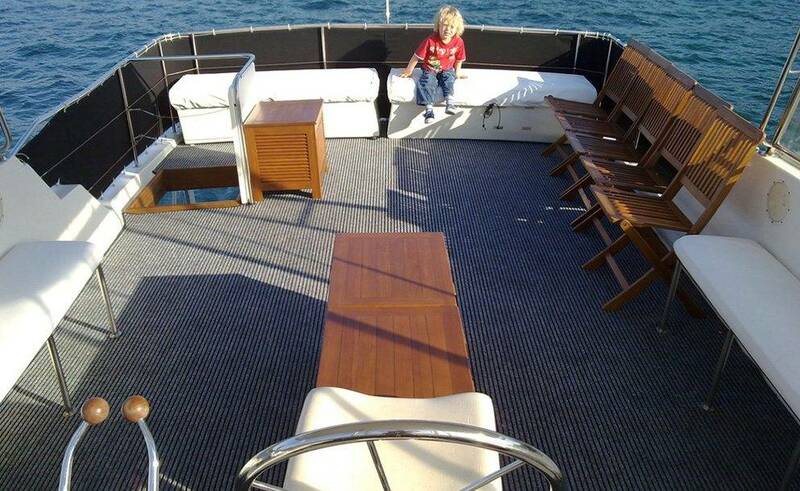 So everyone has the opportunity to sit back, relax and enjoy their luxurious surroundings. 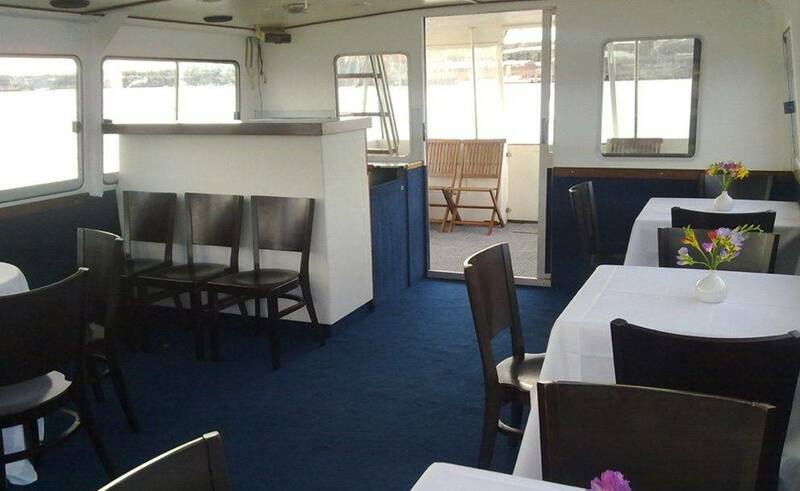 She can accommodate a dance floor for parties and the sound system has iPod compatibility. So ensuring the tunes are right for your event could not be easier. Outdoor and indoor speakers ensure everyone can enjoy musical entertainment. Wifi is available on board so social media addicts don’t need to go cold turkey. Also, workaholics can stay connected to the office. 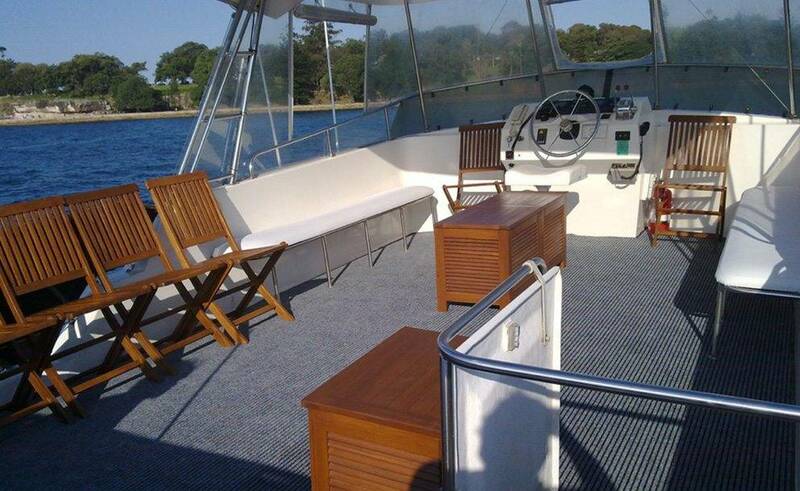 Ali B also boasts a swimming platform for easy access to the water should your guests need to cool off. Her compact proportions mean she can easily be piloted into bays. 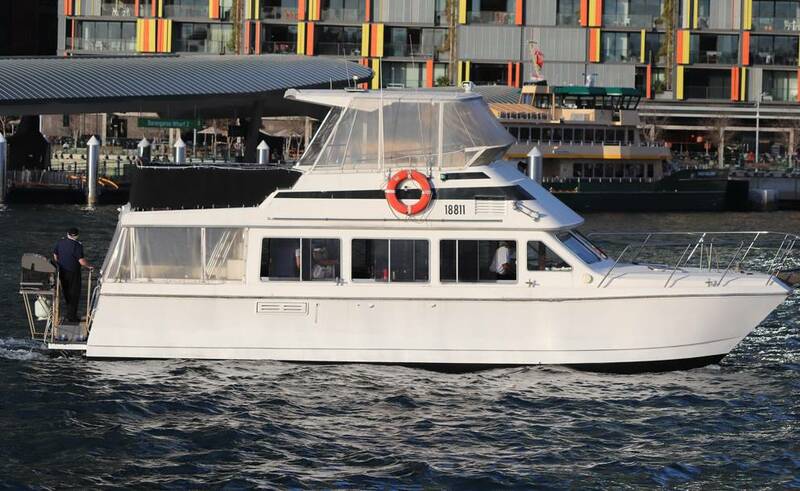 So your party can enjoy beach swimming around the harbour. 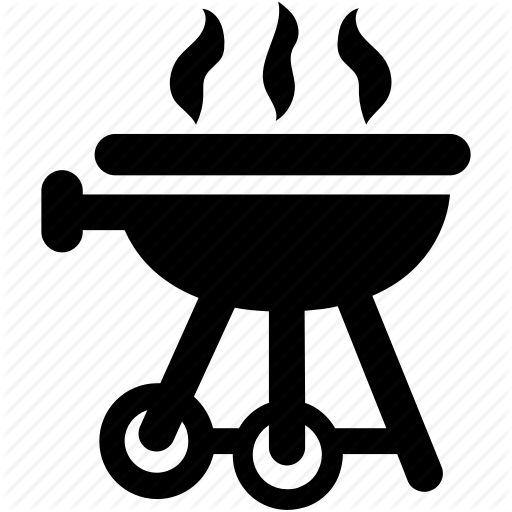 There is a BBQ on the deck and ample capacity for chilling drinks. 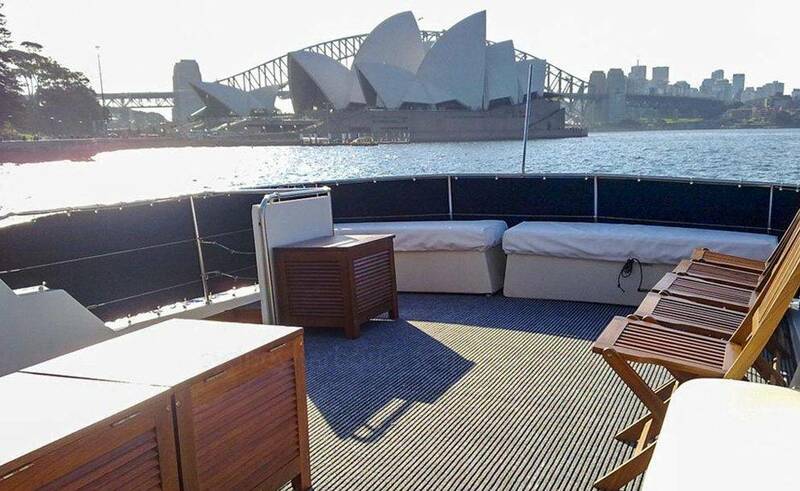 So why not re-create the laid back and easy going atmosphere of your backyard in the iconic surroundings of Sydney harbour?